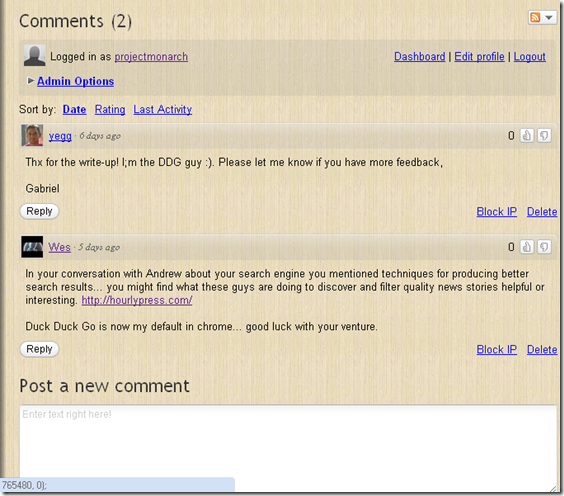 IntenseDebate comments quickie walk through…. 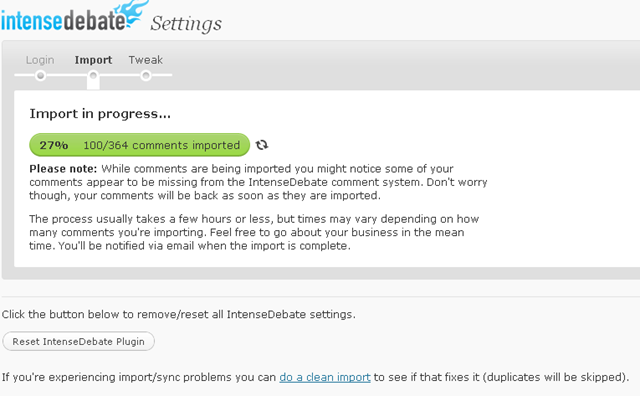 Get to the Point: simple addition to wordpress, simple import of comments, live and working like I wanted in 10 minutes, pages are slower to load now. 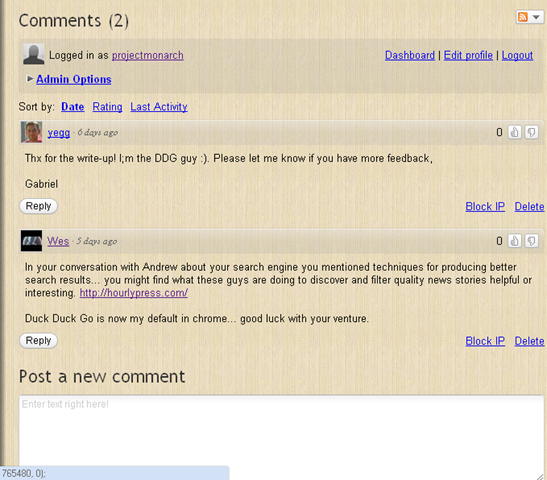 If I notice the speed more I might revert to normal comments. 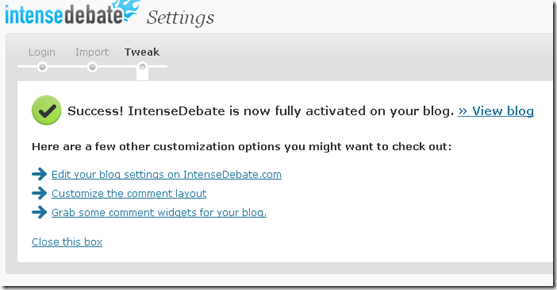 Installing IntenseDebate comment system on my WordPress blog…. what will happen? Will it be painless? Will it import my old comments? Will I be locked into intense debate? 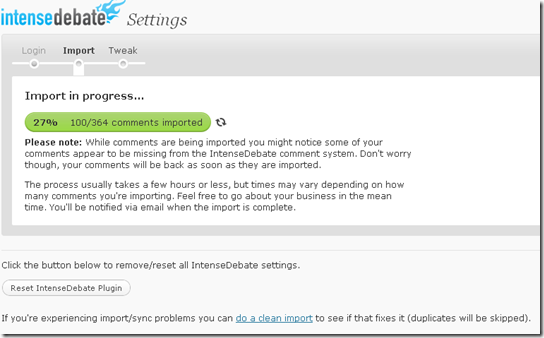 I wonder which is faster to load: Disqus or Intense Debate? Googling for it now..